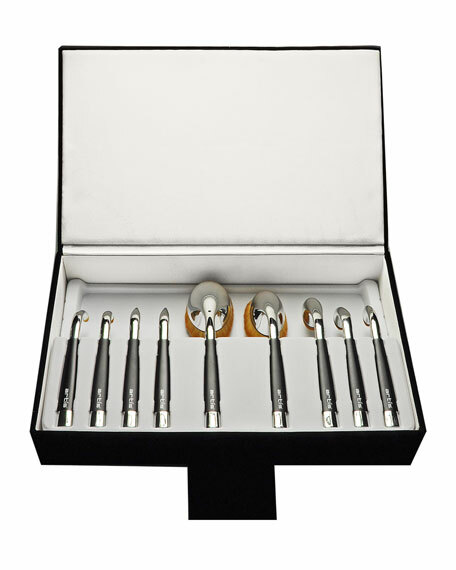 For those who want it all, we offer the Artis Fluenta 9 Brush Set, at value pricing. 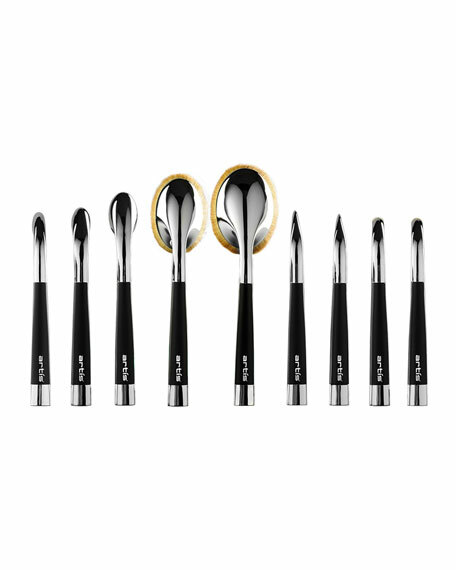 This Expert Set includes the following brushes: Oval 10, Oval 8, Oval 6, Oval 4, Oval 3, Linear 3, Linear 1, Circle 1, and Circle 1R. Artis brushes are made exclusively with CosmeFibre, a revolutionary engineered fiber made for applying cosmetic and makeup products. 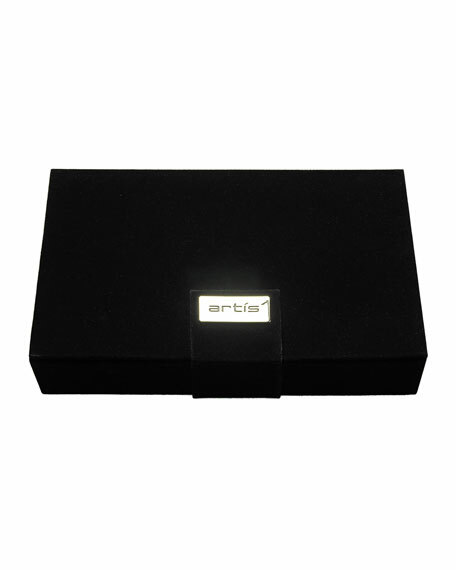 This item is packaged in a beautiful velvet gift box with satin lining, and closes using a flap with magnetic closure. The inner tray is removable so the box can be repurposed. For in-store inquiries, use sku #138023.